Amidst all the mixed market commentary at present, few commentators are talking about making the most of the conditions to buy or sell. You see, the market is currently resetting, and sophisticated investors are making a move to grow their portfolios or to alter their mix of properties. Supply has well and truly moved the power dynamic in our two biggest cities from sellers to buyers. In Melbourne, there is 28 per cent more stock on the market compared to last year. In Sydney, there is 24 per cent more stock on the market. As well as the excess supply, there is the overlay of the fact that many people can’t qualify for finance, which reduces the pool of buyers even further. While lenders have technically removed interest-only loan caps, they haven’t changed the higher qualification criteria, which means borrowers need to earn more income to qualify for a loan. On top of that, there is a Federal Election looming, which is causing some angst because people don’t know what it will mean for the economy more generally. There is also plenty of media of late that is talking about “technical recessions”. So, it’s clear there are too many factors in play that are dampening confidence levels and reducing demand from buyers and investors. In essence, that is why the market is resetting. So, for sophisticated investors, now is the hour is to rationalize their portfolios. That’s partly because inflation has been below two per cent for three years, and interest rates are more or less the same, apart from some lenders increasing rates independently. Savvy investors are assessing their portfolios to identify any properties that should be off-loaded because their growth prospects are weak. Some markets are unlikely to see significant capital growth over the short- to medium-term, however, there are plenty of other locations with potential. Ditto, with some dwellings, with houses likely to outperform units because of that excess supply. Investors are using the market reset to sell an underperforming asset and buy a property in another location or one where they can add value to by undertaking a renovation or subdivision. Another strategy is offloading a certain type of dwelling for a better one in the same location. In market resets, you generally start to see rents increasing because there are more people renting than buying. The next phase of the reset is usually rising interest rates and then an increase in construction – at some point in the future. Rents will eventually stop rising but they generally don’t reset back to historical levels, which is good news for cash flow and for serviceability. At that point, markets start to strengthen and capital growth returns. What is happening at the moment is not unusual as markets always undergo resets and the media always writes stories about the property sky falling at the same time. The smartest investors, however, understand this and use it to their advantage to increase their portfolios or to change the mix of properties to ensure they have the best prospects for capital growth. 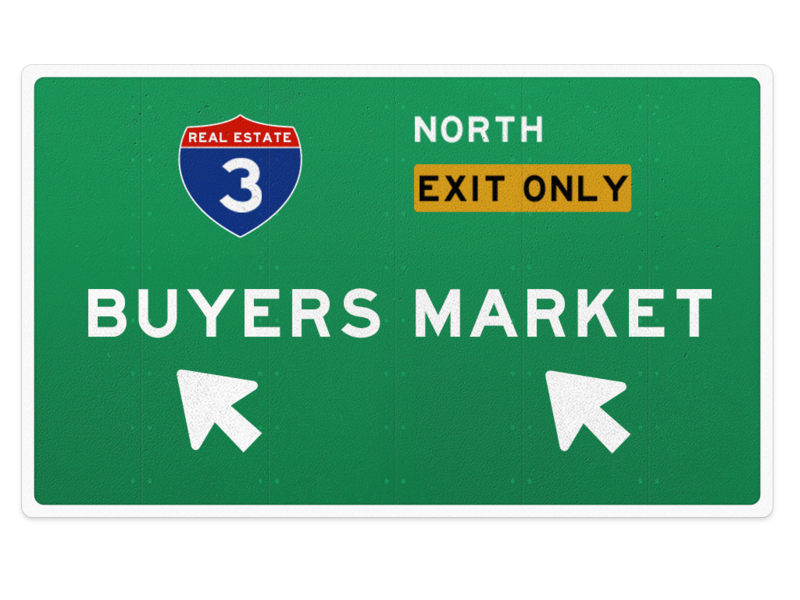 Buyer’s markets are always the perfect time to make a move, because everyone else is so distracted by the economic noise and plethora of bad headlines that they don’t recognise the opportunities that are right there in front of them.